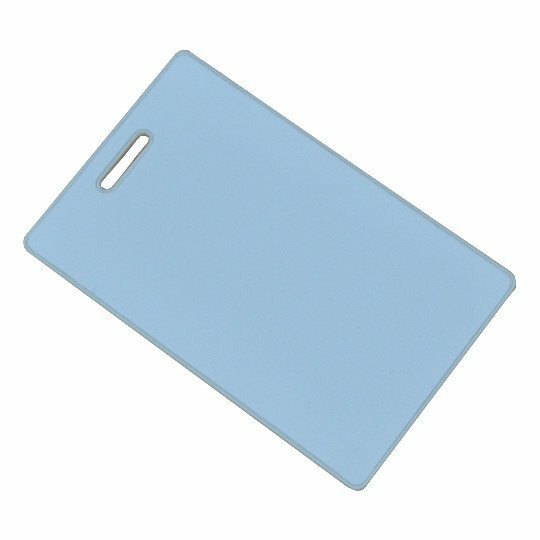 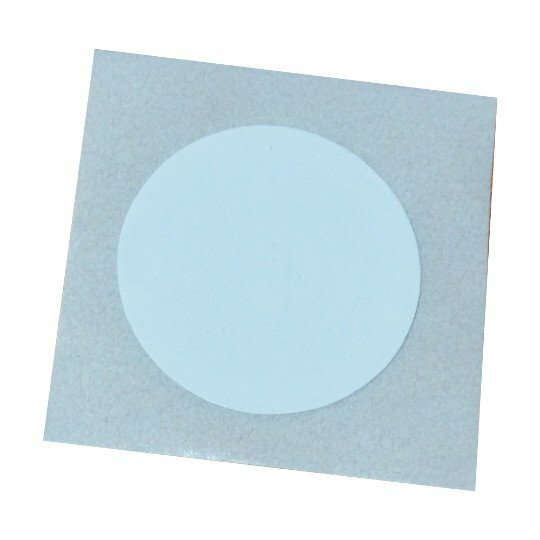 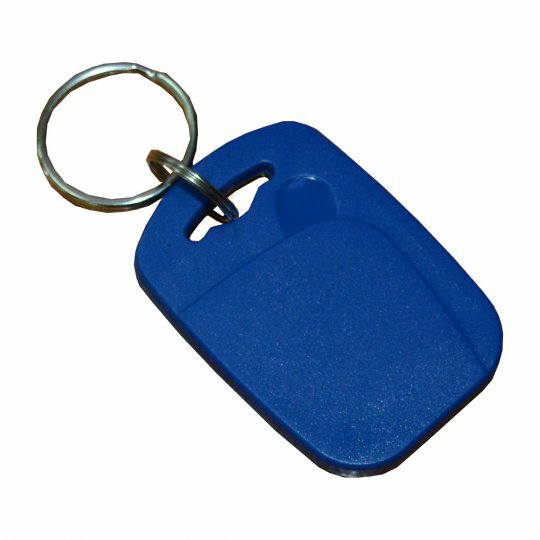 MOD-RFID1356MIFARE can read and write NFC / MIFARE RFID tags operating at 13.56Mhz. 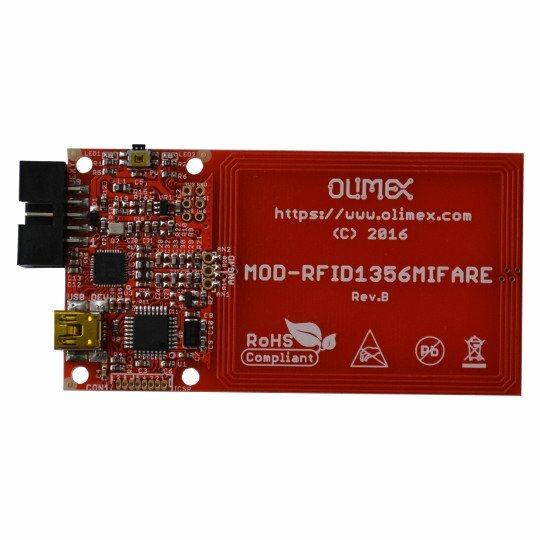 MOD-RFID1356MIFARE uses NXP PN532 to read and write NFC / MIFARE RFID cards. 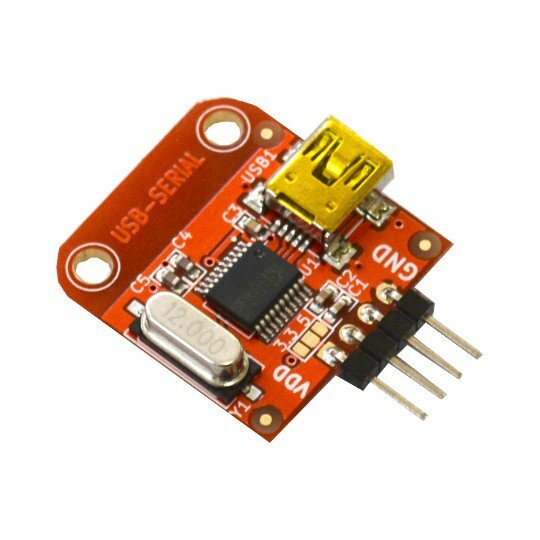 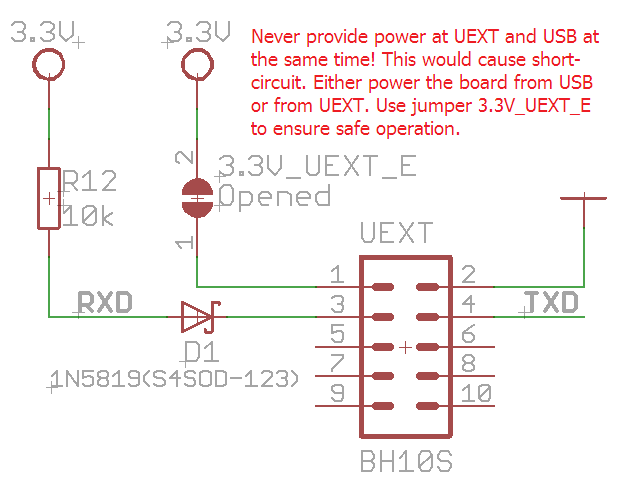 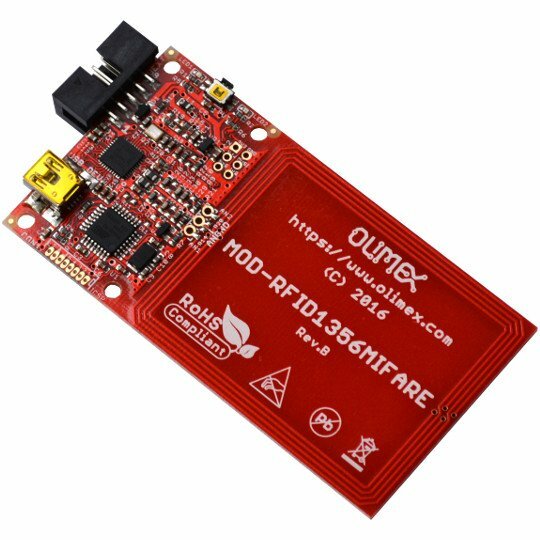 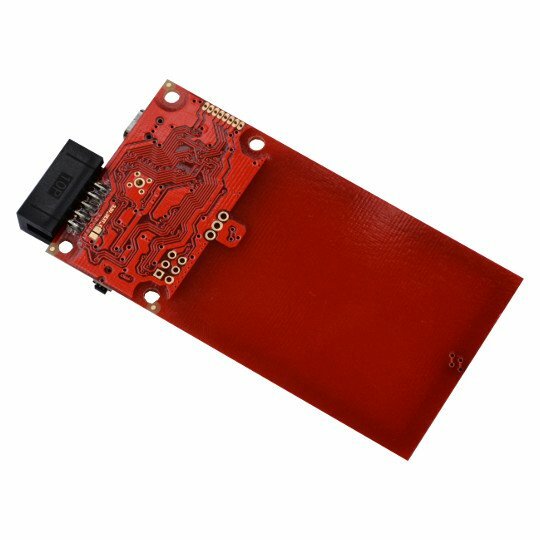 The board design features an additional second microcontroller to expands the ways to communicate with the host device - it adds 3 possibilities: USB HID keyboard, USB CDC serial communication and UART serial at CMOS levels for boards with UEXT. 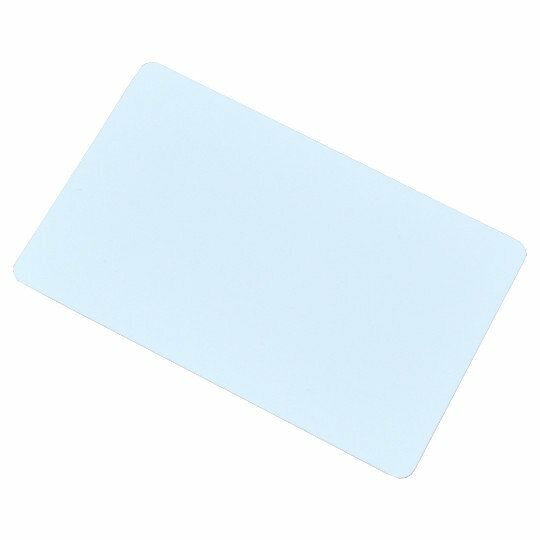 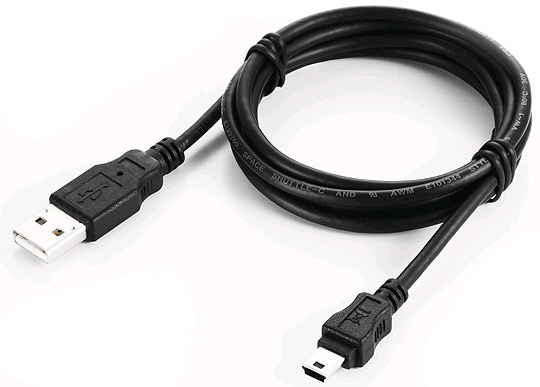 Dimensions: (90 x 47)mm ~ (3.54 x 1.85)"